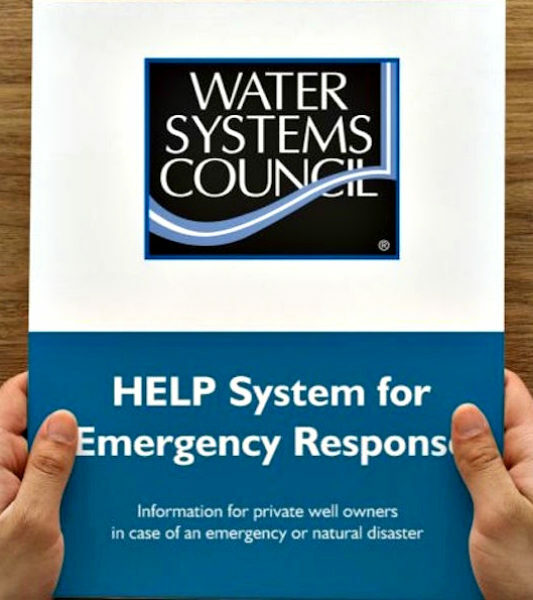 The Water Systems Council (WSC), the only national, nonprofit organization solely focused on household wells and small water well systems, announced today that it is providing HELP System for Emergency Response information packets to state emergency response agencies that will tell water well owners how to recover their wells following an emergency or natural disaster. WSC has also posted this information under “Emergency Help” at wellcarehotline.org. Recent floods, tornados, oil spills, and wildfires highlight the need to get information quickly to well owners in affected areas regarding the potential impact on their wells and protection measures. In the event of an emergency or natural disaster that threatens safe drinking water supplies, WSC has created an interactive map for consumers to find local emergency response and public health agencies that can help. This information is free to consumers and can either be downloaded from the wellcarehotline.org website or obtained through your state’s emergency response and public health agencies. Consumers can refer to the WSC interactive map for agency names and contact information. In addition, the information packets will soon be available at each of the 10 EPA Regional Offices in the U.S. The Water Systems Council (WSC) is the only national, nonprofit organization solely focused on household wells and small water well systems. WSC is committed to ensuring that Americans who get their water from household private wells have safe, reliable drinking water and to protecting our nation’s groundwater resources.